The design process at CDR Studio is our main focus. Therefore, we have selected software and hardware that optimizes both user functionality and project clarity. Doing work nationally and internationally has meant adding the capability to work remotely, to allow for electronic distribution of documents and to make use of project management software that can be used by our entire team of consultants. CDR Studio has selected technologies to optimize our work flow and provide flexibility. As we have grown, we have acquired technology upgrades, additions and new features to provide increased user functionality and to avoid unnecessary complexity that could take focus from the work at hand. In addition to AutoCAD and Revit, we utilize a full suite of software that includes 3ds Max, Rhino, SketchUP, Adobe Creative Suite, MasterSpec and Microsoft Office. All office standards and shared information have been centralized to ensure the experience is consistent throughout the office. CDR Studio has two different kinds of libraries within our office, and we utilize outside library sources as project needs arise. We have both a material/resource library and a library of books related to building construction, building technology, construction specifications and building/zoning codes; our library also includes a strong holding of architectural history, theory and design materials. The material/resource library is organized by material type and we maintain samples of all materials used in our completed projects for reference. Typically, we regularly gather interesting materials for potential future use. We have a membership with Material ConneXion, whose mission is to be a source for the most innovative and sustainable materials being created today. Our building-construction library is comprised of technical materials organized either by CSI or by the specific content category, such as code manuals. In addition, we subscribe to a number of periodicals and trade magazines from publishers in both North America and Europe. 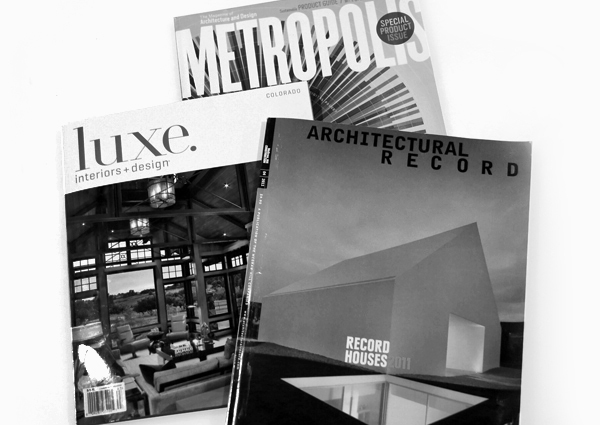 During the process of working on a project, CDR Studio uses the library to study building precedents, building typology and building construction techniques. Much research is web-based, although we still find value in the time spent looking at hard-copy material. To ensure client satisfaction, CDR Studio has established a program of quality assurance that relies on checks and balances. We achieve the highest quality partly through the use of a project-management tool that allows us to monitor our utilization ratio — forcing us to keep an eye on profitability and our project goals. More importantly, we meet our standards through leadership, an attitude of continuous improvement and full commitment at all levels. Our office consists of three partners, two design associates, one administrative associate, five to six staff architects and one or two interns. All projects will have a partner in charge, and depending on the scale of the project or its time frame, an associate and staff member will be assigned. We hold weekly office meetings to review the ongoing status of projects, staffing requirements and key issues that have occurred in the past week, as well as potential issues that may occur in the near future. We believe in the value of continuing education, whether through courses, new technology or on-the-job-training. We encourage our staff to take on new levels of responsibility and to enhance their education. The majority of our staff has pursued LEED accreditation for various building types.